UOU Jobs Recruitment Notification 2018.Uttarakhand Open university (UOU) inviting applications for the positions of Academic Consultants in UOU, Haldwani, Uttarakhand.Interested and Eligible candidates can apply for the positions. Total number of vacancies to be filled by UOU is 47 Posts. Selected candidates will get pay per Rs. 23000 – 28000/-. Applicants may attend the interview to the below given address below. 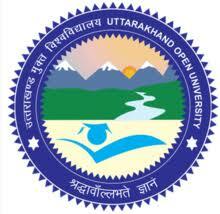 Uttarakhand Open University, University Marg, Transport Nagar, Haldwani.